Trust is earned over time through consistent communication and a high level of transparency. We take the time to nourish strong relationships, getting to know you on a personal level, thoroughly explaining our investment philosophy, and ensuring we are on the same page before moving forward. We speak your language in order to provide you with a clear understanding of how we'll invest your money and how we'll make your life easier. Our on-going communications provide continual clarity. You'll stay informed about markets, and what's happening with your money at every stage of your financial journey. We want to add convenience to your life and many of our services are designed to do just that. Whether working in tandem with your other professionals or providing holistic planning services, we’re on your team and offer simplicity and clarity to you. Someone once said that life is what happens while we're making plans. 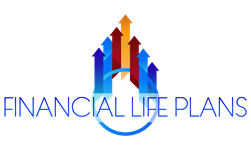 Financial planning, investing and caring for your money, and helping you protect yourself and loved ones is a large part of what we do, but it isn’t enough to our way of thinking. When we make a lifetime commitment to you as our client, it means that we will be first in line to help you and your family navigate through life’s challenges and difficult times. You should know what you’re paying your advisor and how we apply those fees to your investments. We’ll explain our fee structure so you have confidence that you’re receiving value from us. After our conversation, your questions will be answered and make sense to you.